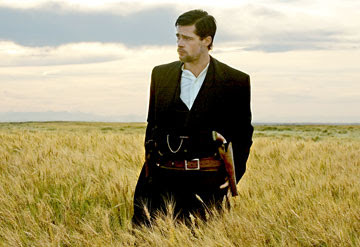 For my readers in North Carolina, The Assassination of Jesse James by the Coward Robert Ford opens today at the Grand 18 in Winston-Salem, and the Carousel Cinemas in Greensboro. This is no run-of-the-mill western. This is a breathtakingly beautiful rumination that totally immerses its audience in a bygone era. As shot with painterly brilliance by Roger Deakins, “The Assassination of Jesse James by the Coward Robert Ford” is the single most gorgeous film of the year, and the screenplay by Dominick takes minimal dialogue and turns it into pure organic poetry. Drop what you're doing and go now. This film deserves all the attention it can get.